SIMCO Engineering, P.C. as a JV Lead Partner, provided Resident Engineering Inspection services for Milling at various locations, Citywide. 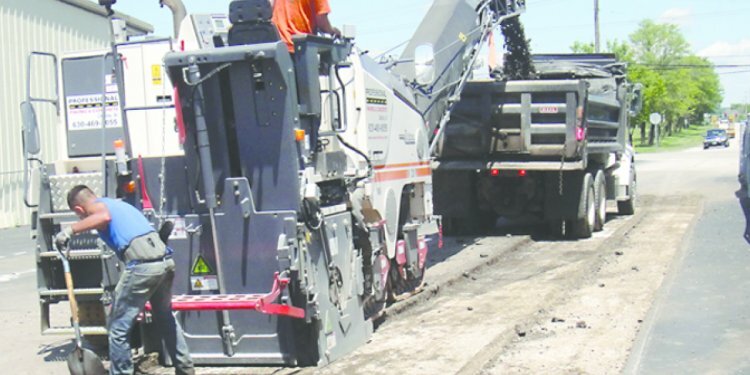 This project involved the grinding of existing asphaltic concrete wearing course for resurfacing preparation for a 1-1/2 inch asphaltic concrete wearing course which was done by NYCDOT in house crews. We were aware of critical aspects of the work that must be addressed, based on extensive past experience with milling projects. Resident staff stayed abreast of community concerns, such as road closures, detours and other impacts of the work that will cause interference with resident activities and inconveniences. Some of the work was done at night, and we made sure that businesses, residents, community boards and other affected parties were fully informed of the work, and that the contractor’s equipment was within allowable decibel levels. Another critical issue we worked to overcome was to see that the milling did not create road hazards. Milling, for example, can leave roadway castings sitting above the milled surface, or it may create drop-offs betweenadjacent milled and unmilled surfaces. Both situations could create dangerous driving conditions. Our inspector monitored these raised objects or pavement drop-offs to ensure they were properly feathered with binder asphalt ramps placed around or alongside of them before the end of the work period, which provide safe transitions between the surfaces. Our Resident Engineer also ensured that the contractor placed signs in advance of the milled areas warning motorists to reduce speed because of the rough pavements.